Effició has developed an opportunity for executive entrepreneurs to Transmogrify through Conversations! MISSION: Effició’s Conversation Café was developed from our “THERE IS NO BOX!” philosophy. We want to get you talking about the obstacles you’re facing within your TOTAL entrepreneurial career, not just one aspect. Effició’s Conversation Cafe provides CEO’s, Founders, and Owners of small to medium sized businesses with a bottom-line understanding of how they can transition to new levels of leadership in their entrepreneurial careers and within their organizations in order to drive better organizational decisions through strategic discussions. In a competitive global economy, entrepreneurs reaching higher levels of success must surround themselves with intellectual conversations and discussions; by conversing with Team Efficio through various communication vehicles, you’ll actually experience intelligent information you can use right away!-not a sales pitch. The key to Executive Level Transmogrification is to let go of the myth that it may be a weakness to ask for help, solutions, or support that reveals weaknesses or flaws! Conversations are necessary for you to let go and begin transitioning into TRANSMOGRIFICATION~Let’s think and talk it out TOGETHER! Conversation Café with Team Effició takes place on select Thursday’s beginning at 10:00am Eastern; the BEST TREAT is that SHERESE DUNCAN, Your Transmogrifyer will be there to give her tried and true entrepreneurial solutions on the spot! How: No software needed! Go to our YouTube page the day and time of event and post comments using the form at the bottom of the showpage! Get pumped and get motivated! It’s our intention to give you coaching on how to begin strategic conversations that move your forward. It’s great to talk things out with individuals who are “on your level.” Join us to jump start intellectual conversations and discussion about the entrepreneur’s life! Join Sherese Duncan for Conversation Cafe live radio broadcast, a focused strategic forum for “starting the CORE conversation” for executive level entrepreneurship knowledge, learning and execution of business initiatives. Leading a business in today’s ever changing environment is very challenging to each of us. In the same manner, whether we want to admit it or not, those very challenges are very similar to many as we all sit in the same seat within our respective companies – striving for excellence. Join us for “live radio broadcasts” to get a taste of Transmogrification, No Box Thinking and The Street Perspective of Entrepreneurship. We will help you develop an awareness of your own and others’ behavior and communication patterns, and help you make sure that the impact you make on others matches your intent. When you’re the CEO/Owner/Founder of a small business, you have to have an edge that makes the most of your personality strengths, your verbal and written communications, and how you influence others in order to build better relationships in business, especially with those who you deem to be your mentors, trainers and coaches. These executive level conversations are all led by Sherese Duncan, your Transmogrifyer; If you’re ready to discuss, then join the live broadcast every 3rd Thursday at 11am Eastern! Join us to discover your own (behavioral) breakthrough, Get to the CORE, and Get Transmogrified today! We’re not stopping with just the radio show, we’re continuing the conversation highlighting the CORE Skills Entrepreneur’s should begin to develop related to our Conversation Café topic on Twitter! Continue the CORE conversation on Twitter for our CORE Skills Chat right after our Live Radio Broadcast! Every 3rd Thursday and some days in between, Sherese Duncan and her Executive team are chatting about the top nine skills sets Entrepreneur CEO’s need to master, delegate or collaborate for optimal performance. The chat is open to Entrepreneur CEO’s (from start up to 20 years into the game) who want to discuss the latest news and trends in skill development. Chat with us to o discuss and share key skill sets that help CEO’s of small to medium sized businesses keep their ear to the ground and their strategy focused on the big picture. Social rules: Have fun, but stay professional and on topic. Where: All Efficio Social Networks. How: Just connect with Team Efficio and let’s start socializing! We’ll post links, resources, questions and much more. 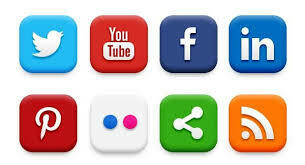 Check out some of our social networks, groups and tools below on our social networking page! Just connect with Team Efficio and let’s start socializing! We’ll post links, resources, questions and much more. We look forward to sharing detailed strategies to help you prepare for CORE conversations! p.s. Get first notice of new programming, recordings and updates on the Conversation Cafe Network! Disclaimer: This service is for information purposes only. Efficio does not endorse opinions of participants and makes no claim on their products and services. You can read our full terms here.